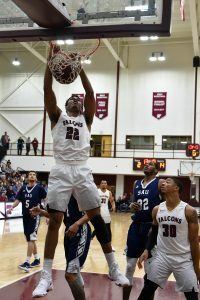 Yeah, I know, it’s perhaps a real stretch to see our Fairmont State University Flying F logo in this morning’s dawn. Yet I really liked the image painted in the eastern sky above the Falcon Center. Judy and I had just finished our morning walk. Dawn had just begun brightening the east when we started. Thirty minutes later, the sky-image showed full color. Nature conceals much from those unwilling to seek. While I do not believe that some higher power was sending us a message, I do delight that we happened to be positioned on our hilltop at those precise few minutes when conditions aligned to portray FSU’s logo. A message? None… except that unless we look, we do not see. We saw, and felt some level of connectivity to this place I have called my home away from home for five months. 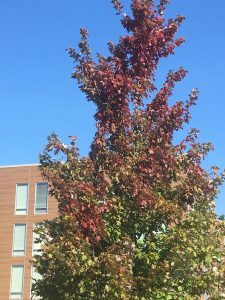 I’ll take back into semi-retirement dawn’s Flying F. Once again, Nature has furnished symbolism and inspiration for something that has made a difference in my life… this FSU Interim Presidency! 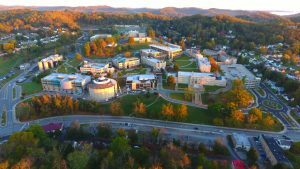 FSU’s Science and Technology Dean Don Trisel sent his drone with camera aloft 7:30 AM November 20. Looking north, the view captures campus and the hills beyond. Almost Heaven, don’t you think! A typical landscape of North-Central, Wild Wonderful West Virginia. Our “College on the Hill” campus rises some 300 feet from Locust Avenue in the foreground to the physical plant buildings at the distant-center tree line. Shaw House, the President’s residence, where I have stayed for nearly five months, sits in the copse of trees in the upper left quadrant of the main campus. My office is in Hardway Hall (front-right), the long building with the columns. A beautiful campus in a grand location, one where I am at home and thriving. No wonder deer frequent my yard. The surrounding forest simply extends into our community. The deer recognize no city boundary. They observe only the extent of suitable habitat and available browse. Resident squirrels, raccoons, ground hogs, opossums, and other critters pay no mind. Same for birds. For that matter, thunderstorm cells can’t discern forest from campus from downtown. They simple form, rumble, and move along with air currents. Likewise, the wind itself cares not, nor do clouds. Season changes the temporal context, yet the physical location a month earlier stays fixed. Great Blue Heron views enterprises in the same way. What constitutes your ecosystem? See my web site for more about the approach. I could not have effectively led this university as Interim President if I had looked only inward. FSU does not exist in a vacuum, nor does any individual, business, or organization. The world that affects us lies beyond our campus edge… and far beyond that as well. We are all creatures of our social, economic, and environmental ecosystems. I will find a way before I depart Fairmont to secure a first-hand aerial view from a small plane. Short of that, Don’s drone provided a surrogate. I’ve reviewed countless aerial photos over my practicing forester days. However, never has one been an adequate substitute for being airborne, cruising above the canopy, looking down, at liberty to scan where my eye and the flight take me. I assure you, I will take my camera along, and record fodder for a few more blog posts. My heart and soul soar with me as we dance on laughter-silvered wings! Whether I am deep in the forest, hiking stream-side, pausing at an overlook, or flying high above the ground, I find beauty, magic, wonder, and awe in Nature’s bounty and God’s work. Call me – we’ll examine your enterprise from an ecosystem perspective. Every dawn is a gift. This past Thursday, November 16, was no exception. Warm moist air streaming from the south, pushing hard against the season’s advance. A few morning cumulus signaling the struggle. Yeah, I know it’s fuzzy — it’s a photo of my computer monitor, yet it does give you a sense of the view to the south. 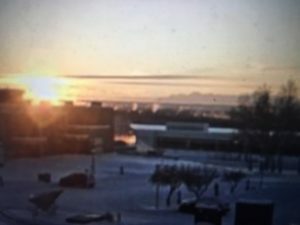 In deep winter (we’re now just five week’s from the winter solstice), the sun rises only a few degrees east of due south. Its arc stays low to the horizon, just above the Alaska Range, which is visible 70 miles distant. That’s the Range standing on the right side of the image. Temperature at that moment was negative 13. Here in Fairmont it’s a tropical 62 degrees warmer! There — a snow-pack already at least a foot. Here? All I want is one good accumulation before I head back to Big Blue Lake. If not, I’ll faithfully visit the UAF web cam! I’ll live my winter vicariously through the magic of the internet, and indelible memories. No I don’t want to live in the near-Arctic again. I find my comfort in Nature wherever I’m planted. I am grateful to look, see, feel, and appreciate the magic, beauty, wonder, and awe of Nature. I hope you are discovering the special Nature of where you are rooted. Great Blue Heron can open your eyes to what lies hidden around you… and what lies hidden within you! 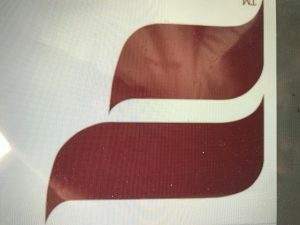 I lay my head on a pillow in Shaw House, the Fairmont State University (FSU) President’s residence, which sits south of the Feaster athletic facility and north of the Falcon Student Center. My office is in Hardway Hall, the next building south below the Falcon Center. My current life extends across our campus, into the Fairmont community, and beyond it to the surrounding human habitat. I know my way around nearly as well as I did the woods where I hunted squirrels as a teenager. I admit to a bit more natural comfort in those decades-ago October hills. However, like Nature’s ecosystems, this one, too, involves interactions just as interdependent and complex. And like Nature’s woodland resident’s, I work day and night at drawing from and giving to the physical and living elements around me. In fact, this Interim Presidency demands a lot, yet returns so much more than I give. I reside in an amazing campus/community ecosystem. The week of November 6 evidences just how much I draw from this six-month leadership journey. 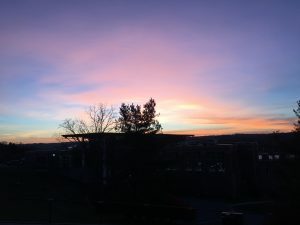 The photo is of dawn breaking November 8, with temperature in the upper teens. I began Monday morning at a national security and intelligence firm in Morgantown. The company contracts with our Open Source Intelligence Exchange program. Call it a communal, symbiotic connection. One of our graduates, a leader in the firm, along with the founder and CEO, met with us. The two of them (and two of their clients) met us for dinner Thursday evening at Shaw House to explore deeper collaboration. As with all living organisms, no university can stand alone – we must, and will increasingly, forge and capitalize on relationships with real people doing real work in real time. Nothing beats the essential interplay — learning, research, and technology transfer are contact sports. Having spent much of my higher education career at five Land Grant Universities (LGUs — Penn State, Auburn, Alabama A&M, NC State, and the University of Alaska Fairbanks), I am steering FSU toward linking collaboratively with West Virginia University (WVU), our State’s LGU. Several of us met mid-day Monday with three of WVU’s Marion County based Cooperative Extension educators, exploring opportunities in the education arena, and in science, technology, engineering, and math. We tilled the ground, planted seeds, and will tend the opportunities that sprout. We finished the early evening by meeting with the FSU Alumni Association. So many people believe deeply in FSU, and for that I am grateful. And I am optimistic that united we can lift this institution to greater heights. To draw an ecosystem parallel, try being the Mighty Oak without roots infused with endo-mychorhizal fungi. We visited WVU President Gordon Gee Tuesday afternoon to introduce Dr. Mirta Martin (our FSU President-select who begins her presidency January 1) and continue our discussions about shared mission and potential joint endeavors. Dr. Martin and I then enjoyed dinner in Morgantown at a restaurant perched above the Monongahela River (20 miles downstream from Fairmont; yet another natural linkage), with our FSU Foundation President and the Chair-elect of our Foundation Board, a former corporate accounting executive and FSU alumnus, who holds a senior faculty position at WVU. We are blessed to have many friends who connect us to life, living, and enterprise in North-Central WV! 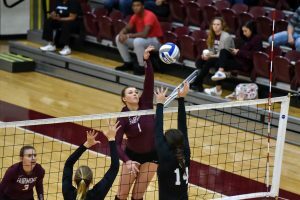 We rushed back to Fairmont in time for the final three games of our women’s volleyball match. Our Lady Falcons played valiantly, yet fell short. I am impressed with FSU Athletics. My compliments and appreciation to our coaches and staff, our incredible student athletes, and to the community of followers who support FSU Athletics! These student athletes share my hillside ecosystem. I am here to serve them. 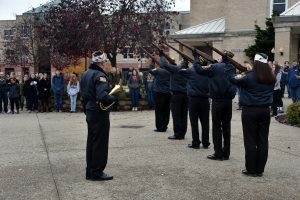 Thursday, we observed Veterans Day on campus. We began with flag-raising behind the Falcon Center. Veterans from every service branch attached brand new flags to the pull ropes and hoisted them aloft. Standing at attention, we listened as a local teen brought tears to our eyes singing the National Anthem A Capella. 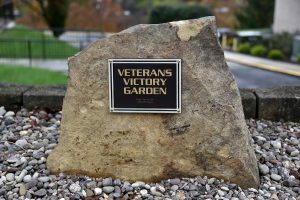 Mid-day once again misted my eyes as a uniformed contingent fired three volleys followed by taps at the newly-dedicated campus Veterans Victory Garden at Turley. 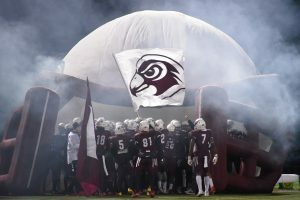 All we do at FSU welcomes and involves both the campus and Fairmont community. We are one. 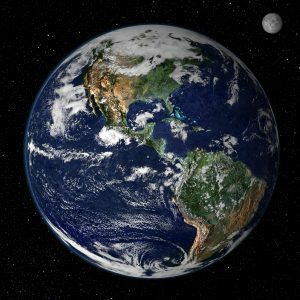 In fact, all of us who share this planet are one. The weekend kicked off Thursday evening with our Falcon football victory over West Liberty. A bit sobering for me to realize that I have now watched my final FSU football contest (along with volleyball). Football tailgating and cheering the Falcons epitomize the spirit of our inseparable Fairmont/FSU marriage. Friday and Saturday – what an FSU whirlwind. Lunch Friday with our School of Nursing Advisory Board. Another example of the power of real-world partnership! We are nothing as an institution unless we engage meaningfully and deliberately. Thirty-plus of the 50 participants were FSU Nursing graduates. 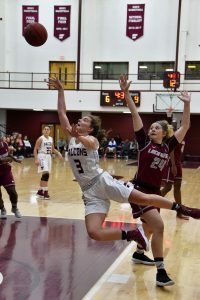 A basketball extravaganza both evenings – two wins each for our men’s and women’s teams in the annual Joe Retton Classic. Our ladies have just one senior and one junior on their roster. Look out future! And the guys have a new slate of starters following last year’s magical season. Both teams consist of students, leaders, and fine campus citizens who will reach far into the future beyond basketball. 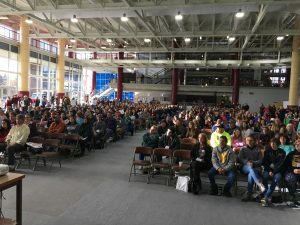 Prior to Saturday’s hardwood competitions, we hosted more than 400 future Falcon students and family members at our Fall Maroon and White Day. Dr. Martin and I greeted the attendees officially from the stage, and then roamed the Falcon Center speaking individually to many of them. I encountered recruits from WV, OH, PA, MD, NJ, and VA. These young people will enrich our campus and the Fairmont community. Some will stay in North-Central WV. Our wonderful Marion/Harrison County region will welcome them, help them grow, and entice them to live, work, and play here beyond their degrees. 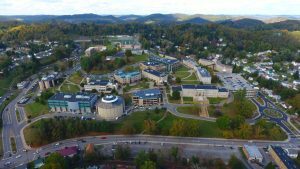 Fairmont State University will continue to exchange rich lifeblood with Fairmont, mutually sustaining and yielding greater vitality. The comparisons to a natural ecosystem are uncanny. All of Nature’s communities teem with the ebb and flow of life, and successful populations depend upon a continuing stream of genetic exchange. No community in Nature is static. Any human tribe or kingdom or town will diminish if it remains insular. Fresh blood, new ideas, innovation, and renovation ensure success. Stagnation guarantees only decay and suffocation in both human nature and Nature. Fairmont State University will renew and refresh the community’s body, mind, heart, soul, and spirit. I am glad to have visited for a while, pumping encouragement and inspiration into a community and university poised to thrive and to imagine a future of hope and promise. Great Blue Heron offers you that same proven, timely, and catalytic wisdom and energy that will ensure a brighter future for Fairmont and Fairmont State University. Give me a call. 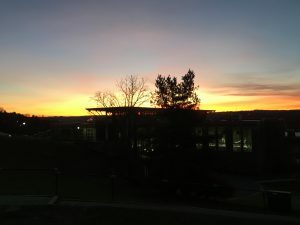 Today is Veterans Day — here are two photos fifteen minutes apart as dawn deepened, viewed from my Fairmont State University President’s residence. Gazing east toward my Cumberland, MD home (65 miles or so from this perch) I thought of WWII veterans Jack E. Jones and Elmer E. Cessna, my Dad and Judy’s. My hat’s off to them — we thank them… and miss them dearly. I snapped this first shot when morning’s glow had not yet brought definition to the Falcon Center, yet the eastern sky already promised a great November day. For the first night this season, the temperature had dropped below freezing at dusk yesterday and reached the upper teens by dawn this morning. Finally, fall has kicked summer conditions into the past. Yesterday morning a few flurries hinted at what is to come. I took this photo 15 minutes later. As do all things, the morning had shifted and evolved. Enough in this case to pass for a another morning. Nature’s palette is rich with pattern, tone, hue, and process. Nature inspires (and teaches humility) with each and every sunrise. Dad and Elmer stood there with me — I felt their presence as tears moistened my face. Nature often brings me to tears. I viewed the dawn through all five portals — body, mind, heart, soul, and spirit. Once more, I remind all that had I not ventured forth to Look, I would not have Seen. Had I not taken the time and made the effort to See deeply, I would not have Felt the passion, purpose, and inspiration in the moment. Had I not Felt, I would not have Acted to bring Elmer and Dad into my morning. Great Blue Heron can and will help you see your life and enterprise through Nature’s lens. The old saw says a picture is worth a thousand words. 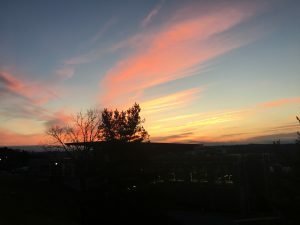 I walked out of my Fairmont State University campus home to retrieve the Sunday paper this morning, glanced to the east, and succumbed to Nature’s greeting of beauty, magic, wonder, and awe. Overwhelmed by humility and lifted by inspiration, once again I know that I have a purpose — to do all I can to ensure that we steward this One Earth… to Care for Our Common Home. We are blessed beyond measure by Nature’s gifts. Great Blue Heron — by way of my writing, speaking, and consulting — can help you apply Nature’s lessons for living, learning, serving, and leading. 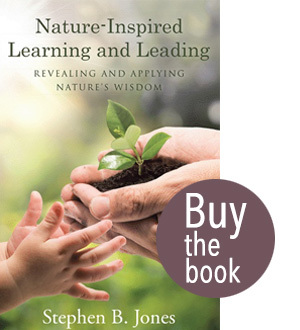 Harness the power and passion of Nature’s wisdom. I will complete my FSU Presidency at the end of December, transitioning then to full time as Great Blue Heron CEO. 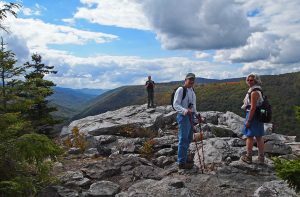 I hiked September 17 at Dolly Sods National Wilderness Area (approximately 4,000 feet elevation), a couple hours from my six-month West Virginia home. 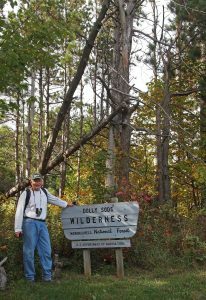 Dolly Sods has been a favorite destination for me since I first sojourned there as a forestry student nearly 50 years ago. In fact, I intend for it to be my final destination, where I want my ashes spread. Please don’t tell the National Forest Service! I write these reflections six weeks later, October 29, 2017. Our September day proved unseasonably warm — highs in the low 70s, warmer than many summer days of my younger years in West Virginia’s high country. Currently, our Fairmont temperature with drizzle is 40 degrees. At Snowshoe, WV, where conditions are similar to those at Dolly Sods, the temperature is 29 degrees, with snow of 3-4 inches forecast tonight, temperatures falling to the lower twenties, and winds to 35 MPH. At the higher elevations winter comes early, reaches deeply, and extends weeks beyond conditions here more than a half-mile lower. Exposed west-facing rim-rocks at Dolly Sods also support pronounced Krummholz spruce. Away from the rim, yet still at ~4,000-feet, the forest is recovering from past logging, followed by extensive and repeated late 19th Century wildfires, and periods of grazing and abandonment. For more than 100 years, Nature has been reclaiming the “sods,” succeeding to mixed stands of hardwoods and spruce. Once established, the forest self-protects as it gains full-stocking and develops a canopy dense enough to force the persistent winds above it. 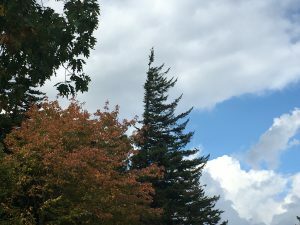 However, those spruce that are emergent (see the one below reaching above the general protective crowns) flag to the east in the buffeting winds. Life’s winds shape us and our enterprises. Every time Union Camp Corporation promoted me to a different job and location, my head emerged above the canopy of protective comfort, practice, and knowledge. My reach time and again (temporarily) extended beyond my grasp. I adjusted to the fresh gales and grew stronger from commitment, hard work, making more than a few mistakes, and learning as a result. Longfellow once said: “The purpose of that apple tree is to grow a little new wood each year. That is what I plan to do.” Isn’t that what life and enterprise seek as well? We learn and grow by dealing with stresses — the shifting winds that force us to react, respond, and adapt. 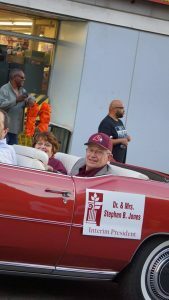 Although Fairmont State University is my first Interim presidency, my limbs and crown had adapted to these higher education leadership gales as CEO of three prior universities, and reporting to the president at three others before the CEO gigs. I’ve grown a bit of new wood with each such exposure. My roots reach deep into my career and life soil, anchored firmly, drawing nurture from diverse experiences. Elsewhere I’ve dealt with state budget reductions, recalcitrant boards, frustrated faculty, and sagging enrollment. Fairmont State University’s winds are mild and balmy contrasted to some conditions I’ve previously encountered. I view the forecast here as an “adverse weather watch.” Foul weather is not imminent, yet the clouds are on the horizon; the storm could develop and then intensify. Blessedly, we still have time to avoid facing its wrath and, unlike our inability to change our near-Earth weather, we can actually abate the atmospheric circumstances that could otherwise generate the fury. My role as Interim President has been to survey our institutional strengths, weaknesses, opportunities, and threats in expedited fashion. That is, assess what might be brewing, evaluate our storm-readiness, and take actions to reduce or eliminate the hazards and vulnerabilities. I’ve done so through the lenses of my multiple prior exposures and trials. FSU’s biggest risk? Spiraling enrollment and a pervasive attitude of acceptance of the slide as inevitable. I have raised the alert, rallied the troops, and instituted necessary adjustments. I’ve attempted to illuminate an aspirational vision of a favorable eventuality… one that is within reach. As I often preach, I have applied my four core verbs. I conducted my SWOT analysis by Looking deeply into the fabric of this institution. Peeking behind the curtains and, when necessary, under the rocks. The act of Looking, in and of itself, accomplishes little — instead, I’ve vowed to See. And to See deeply enough to evoke Feelings of need, empathy, and urgency. Feelings that spur and prompt Action. Look, See, Feel, and Act — my approach for dealing with the issues and circumstances that effect lives and enterprises of all manner and sort. We at FSU will act to disperse the gathering storm. We will act to stop and reverse the enrollment decline. 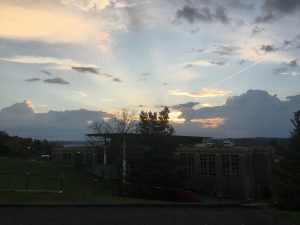 Within my first week of preparation after accepting the Interim assignment, I discovered the looming enrollment storm. Simply by Looking and Seeing with fresh eyes that by late June, I found with dismay that our Fall 2017 enrollment numbers were tracking at 4.7 percent below last year to date. Although others seemed ambivalent, I immediately Felt a sense of crisis and urgency. Too late to affect a Fall 2017 turn-around, we began focusing relentlessly on Spring and Fall 2018 — Acting deliberately, aggressively, and systematically. I’ve found too many individuals whose limbs and stems have bent with, thus accommodating the ill wind, rather than resisted by becoming stronger. The spruce tree at the rim-rock has no option for surviving. The choice with respect to how we deal with the wind is ours. I will not accept gnarled, twisted branches on the FSU tree. I refuse to stand other than tall, straight, and strong. I decry accepting something less than what we might, should, and will become. Even the Krummholz spruce can sustain itself, producing seed, some of which may germinate in a more protected micro-site. Finding purchase at the rim-rock edge, I suppose, may provide ancillary benefits — but only if spruce appreciate a good view! By turning the enrollment tide, FSU will enjoy the view. Our campus perches 300-feet above Locust Avenue at our southern edge. We have a great view of the Monongahela River Valley. And we (our entire campus community) now have a much clearer picture of what lies ahead. I believe the institution re-believes in itself. Krummholz implies harsh conditions, scant survival, and endless stress. We were sliding in that direction. Potentially a desperate, scraggly, misshapen shrub clinging to life. Instead, we can be a stout tree, reaching for the sky, sending roots deep and wide into fertile soil, and growing new wood each year. This University can be a strong oak — but only if we choose to be — and believe in a destiny of hope, promise, potential, and realization. We are at that juncture. Dr. Mirta Martin, President-Select who begins January 1, 2018, will stand strong like the Mighty Oak, and she will lead the way into FSU’s bright future. I am eager to transition to the new day as I pass the mantel of leadership. I am grateful for the lessons Nature offers for living, learning, serving, and leading. Nature is wise, seasoned, and persistent. Nature’s lessons, most importantly, are time-tested. 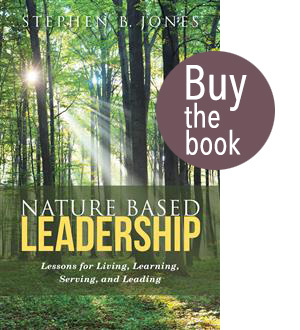 Smart leaders heed and harness Nature’s wisdom and inspiration. I took this photo from the back deck at Fairmont State University’s President’s residence this morning. I could not resist sharing it — with little accompanying text. The image speaks for itself. You do not need my feeble words to interpret Nature’s beauty, magic, wonder, and awe. Each day breaks with promise. We choose our attitude; we decide how to live… and to what end and purpose. May you make your own day bright… and shine your light on others. I’m writing these words on Sunday, the day after our 2017 Homecoming football game. What an incredible way to end my first three months! Allow me to restate some of the reflections I shared from the lectern at four venues, beginning Friday noon. At the Emeritus Club Induction Luncheon, I expressed my view of the essential role that FSU plays in shaping lives, leaving an indelible mark that extends through life. 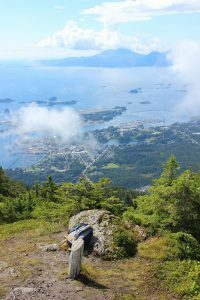 A few years ago, I was driving east to an early fall morning meeting in New Hampshire, passing first through dense valley fog, and then climbing into the mountains, slowly ascending through improving visibility. As I entered a sweeping curve to the left, the sun’s orb burning through, back-lighting a fifty-foot dead birch, its skeleton nicely silhouetted. Every branch held scores of geometric orb-weaver spider webs, each fiber bejeweled by countless dew drops, festooning the barren tree. I embraced the sight, aching to snap a photo. Yet the road had no shoulder, and the fog still too thick for me to stop mid-lane. I thought about the special alignment of conditions that enabled me to see the beauty, magic, wonder, and awe that were otherwise hidden within, invisible as I drove back down later that day. That image reminded me that what we do here at FSU is to make sure we provide the special conditions necessary to illuminate and reveal the beauty, magic, wonder, and awe that lie hidden within each of our students. Our inductees bear witness to our success five decades ago! I will observe that the Hall of Fame Banquet Friday evening surpassed even my sky-high expectations! The gentlemen representing the 1967 National Champion Football Falcons carry the torch beautifully. I told them that they exemplify the informal, unofficial, reality-inspired FSU mission statement that I have adopted: To inspire, educate, and develop… values based workers, citizens, and leaders… committed to personal integrity, professional ethics, and selfless service. Again, it’s Steve’s interpretation of what FSU does oh so well! Saturday morning, I helped welcome and greet the nearly 100 Falcon Family Association participants. Because only a staff member or two had heard my orb weaver tale, I related it again, telling parents and family members that they, too, are part of the equation for assuring the right conditions for discovering what lies hidden within! As an old forester, I do indeed believe that every lesson for living, learning, serving, and leading is either written indelibly in, or is powerfully inspired by Nature. I say to you, my readers, never forget my love of Nature and my appreciation for the rich and fulfilling environment of North-Central West Virginia, and everywhere I have resided (and visited)! I focused my few opening remarks for the FSU Alumni Award Winners Saturday brunch on my already deep sense of attachment to this special institution. I mentioned seeing why folks are rooted here. What brings them back. How this college/university on the hill nurtures; guides; inspires; serves as a rock. A rock that anchors them, their vocation, their service, their spirit, and their life. I reminded them that the Fighting Falcon Spirit is soaring high; reaching deep; and linking the past to the present… and on to the future. 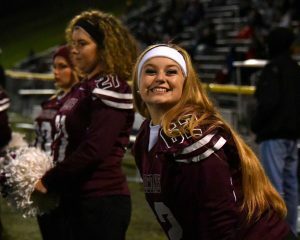 I urged all to take time today and every day… to pause; breathe deeply; feast with their eyes; feel with their heart; sharpen and refresh their memories; and heed the call of Fairmont State University beckoning… again, and again, and again! “It’s the great big broad land way up yonder. Whether viewing Nature’s seasonal rhythms or observing the enterprise we lead, always be alert for signs and signals of change. Some indicate harmless patterns. Others signal danger and proclaim issues that require attention, vigilance, and action. Know the difference, and respond accordingly. I recall my first end-of-August in Fairbanks, Alaska. The summer had been dry compared to my Eastern temperate climate frame of reference. I learned later that Fairbanks summers are typically that dry. I attributed the yellowing aspen and white birch to drought. Two weeks later, hillsides of aspen and birch were a bright yellow — full fall coloration, which is normal for the second week of September. By the third week, the first snow fell. By early October, the winter snow pack began to build. The 65-degree-north latitude shoulder seasons are abbreviated. Winter arrives early, digs deep, and remains firmly in place through much of April. I should have done my homework. I should have anticipated. I do better now when in new places. We should all prepare with fore-knowledge relevant to our lives, vocations, and avocations. Nature prepares unfailingly. The birch and aspen knew it was time to act as August waned. They had already translocated their nutrients from expiring leaves to their roots when the first freeze hit. As leaders, we cannot afford to be caught unaware when predictable adversity strikes. Nature’s lessons instruct that we follow her lead. Birch and aspen practices are hard-wired. Some of ours are as well, yet many lessons applicable to living, learning, serving, and leading we must derive from evidence available to us in books, manuals, and experience. Other people have previously made and recorded mistakes we must avoid. We learn from Nature and from those who have erred, as it seems, so we need not repeat. Anticipate the seasons of your life and enterprise. Protect your essential nutrients from freezes, literal and symbolic. Nature teaches; we learn… and prosper. 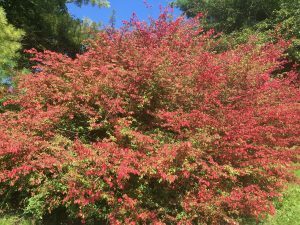 Featured Image: Dogwood (Cornus Florida) already with red berries and leaves approaching fall color.